Roly’s Fudge are delighted to announce that for the second year running we’ve been awarded 5 Star Franchisee Satisfaction by the Best franchise Awards! The 5 Star Franchisee Satisfaction award is given to a group of franchisors each year who achieve very high results (90% and higher) in the five key areas of the survey. Each year this programme helps us develop Roly’s Fudge based on the feedback we receive from our shops across the country. Dannee McGuire from Roly’s Fudge said “The results from Workbuzz has been very helpful over the past two years in understanding what makes our franchisees happy and where we can collectively improve. The results of this 5 star franchise satisfaction award are clear in our shop developments and openings over the year. This year alone Roly’s Fudge have opened 4 additional fudge franchises, meaning by the end of 2018 we will have 41 shops in total. The new shops we have welcomed are Wells and London Camden Market, with two new shops to be announced next month! Roly’s Fudge is always growing and we are always happy to welcome new franchisees to the family. Not only are we welcoming new franchisees but more than 85% of our current franchisees own two or more pantries – meaning our franchisees are happy in the business and comfortable to expand to another shop. Steven, CEO of Smith + Henderson which coordinates the 5 star franchisee programme, says “We are delighted to award 5 Star Franchisee Satisfaction to Roly’s Fudge for the 2nd consecutive year”. 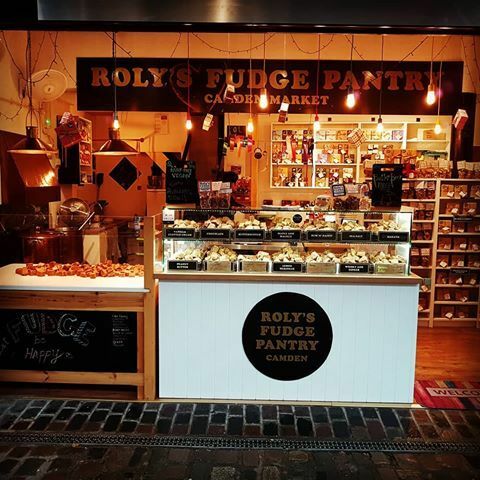 If you’re considering joining us in opening your very own Roly’s fudge pantry – find out more about how to do this on our franchise page.